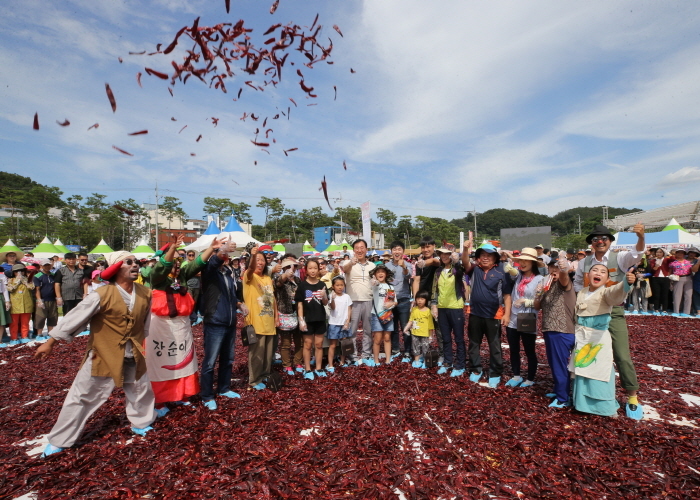 Goesan Red Pepper Festival is held during the harvest season to promote the excellence of peppers grown in Goesan, a major production area of Korea. The festival has numerous programs including pepper-picking and barehanded fishing contests, pepper recipe competition, pepper cooking contest, and garden pepper planting. 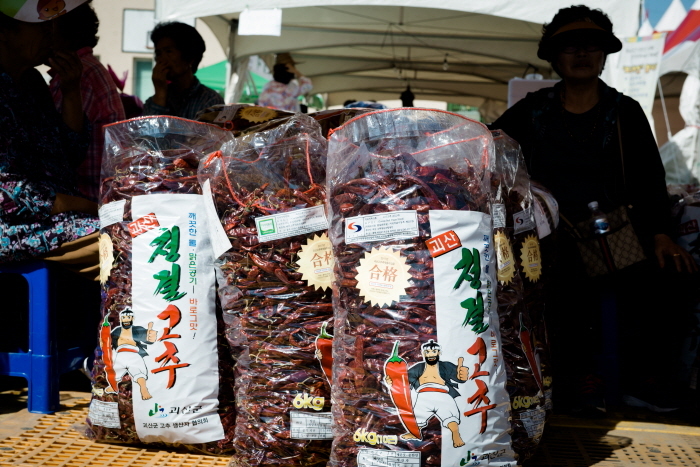 Brightly colored and full of flavor, Korean peppers are a particularly popular agricultural product. 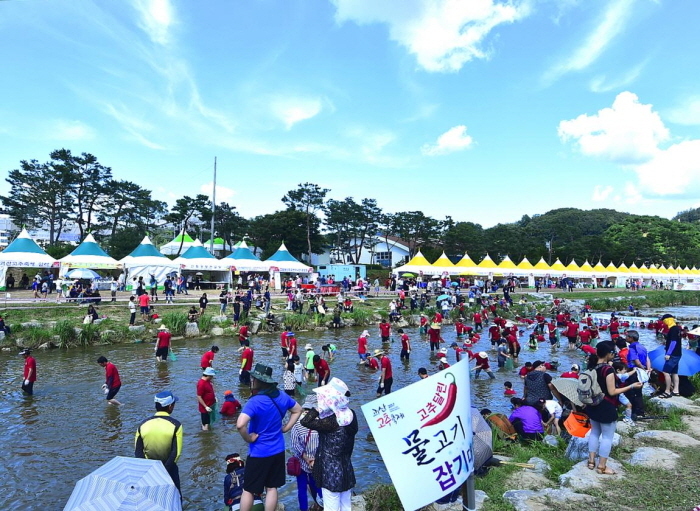 This is a fun festival where visitors can taste or buy Korean peppers and have a chance to talk with farmers. Prayer ritual for a rich year and residents' peace in the county, opening performance, KBS National singing Contest, recreations, etc. Exhibition of worldwide peppers, exhibition of food made with pepper, etc. Catching weatherfishes with their bare hands, pepper fishing, pepper kite-flying, culture experience of multi-cultural family, experience center for well-being health, etc. Pre-event ceremony, opening ceremony, traditional performances, worldwide pepper exhibition, food sampling, Geosan photo exhibition, folk games, and more. * Programs and schedule subject to change. From Dong Seoul Bus Terminal, take an intercity bus to Goesan Terminal.